Jim and Ferrellgas have been huge supporters of Cells for Cells, so it is a very simple decision for me to attend and bring some money to help out. And I like the invitation – just a simple request to help out. That speaks volumes to me. Jim told me that Harvesters has 4:1 buying power, meaning that that $3500.00 raised actually will buy $14,000.00 worth of food for Kansas Citians in need. All I can say is “Job Well Done, Ferrellgas!” Jim, you did an impressive job and many families are going to be helped by your efforts. I know that many other companies and the Lighton Plaza contributed to the success of the cookout – so to everyone else that helped organize and to everyone that gave, thank you for showing Kansas City how to give during these tough times. 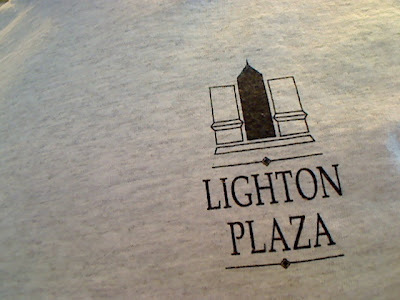 Oh, and I did walk away with a new Tshirt from Lighton Plaza. I love Tshirts! Shawnee, KS (CellsforCells.com) September 17, 2008– Ferrellgas, one of the nation’s largest propane distributors, donated nearly 1000 cell phones to Cells for Cells, the Shawnee, Kansas-based cell phone recycling program that benefits the Leukemia & Lymphoma Society. Stirring enthusiasm for the project with a company-wide competition, Ferrellgas was able to inspire its employees and local communities to get involved in the fight against cancer. Jim Saladin, Manager of Corporate Communications for Ferrellgas, organized the company-wide East-versus-West competition. Vice President of the Ferrellgas’ East Division Micah Redman and West Division Vice President Randy Schott each enlisted the participation of Ferrellgas employees in their respective areas, who in turn involved their customers and communities. In one notable instance, the Iowa City Cubs baseball team even held a special “free ticket night” for those who brought a cell phone to drop off at the game. The Leukemia & Lymphoma Society provides support, resources, and financial relief to families in need through their Patient Financial Aid Programs. 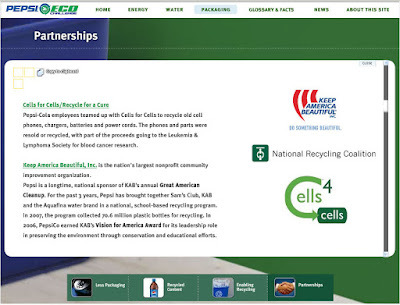 The money that Cells for Cells raises by recycling cell phones is given to those Financial Aid Programs. It is through the generosity of corporate partners like Ferrellgas that community organizations such as the Leukemia & Lymphoma Society owe their success. Founded in 1939, Ferrellgas is the is one of the largest propane retailers in the United States, including the largest provider of propane by branded tank exchange. Established in 2007, Cells for Cells raises money through cell phone recycling to provide financial relief to families battling cancer through their partnership with the Leukemia & Lymphoma Society. For interviews or information concerning the work Cells for Cells is doing to better the lives of families battling cancers, please contact Jason Clements at jclements (at) cellsforcells (dot) com. I recently had the pleasure to meet with Gordon Ho of Innovative Solutions Consulting Group – ISCG. I’ve known of Gordon in the wireless space in Kansas City for about 8 years; but I never sat down with him. 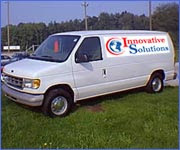 I know that he is an innovator (see: his company name) and a forward-thinking entrepreneur. So I finally called him to discuss business, the wireless industry and a strategic relationship between ISCG and Cells for Cells. ICSG is a Nextel Sprint partner that offers new service, upgrades, and repair services. The BIG DIFFERENTIATOR with ISCG is their knowledge of SERVING THE CUSTOMER. In Kansas City, they have one of the few mobile/on-site services, where they come out to your office to service your cell phones. I would call that innovative! Gordon and I spoke further about about working together to get more exposure for Cells for Cells and ICSG. Jason: Why is ISCG part of Cells for Cells? Gordon: It’s a great cause for one. Secondly it’s important to our environment to recycle old devices and parts safely. Jason: Was it an easy decision or Why was it an easy decision to participate? Gordon: Very easy! Both ISCG and Cells for Cells share the same goals. That’s what makes participating an easy decision. Jason: Do you have a one sentence statement of why customers/businesses should do business with ISCG? Gordon: ISCG-How business get’s done! It’s pretty simple, but that how our clients rely on us. We handle their wireless and we simply get business done. Jason: Do you have any quick recycling tips/cell phone tips for customers? Gordon: Batteries have born on dates on the battery. If nearing the expiration date we can swap out that battery for a fresh battery with a newer date and we can recycle the old battery. Jason: Any upcoming events that we can promote for you? Gordon: We are sponsoring a tent at Country in the Woods on Sunday, June 22 from 4pm to 10 pm. Lonestar headlines the event at Corporate Woods in Overland Park, Kansas. Innovative does have a wireless “how-to” blog; but it looks like the last update was in 2007. I wish they would update that because it has some really great tips. I am going to copy one of their tips right here because it is so useful for many Cells for Cells partners. >Options>Security>General Settings>Wipe Handheld Sets the phone back to factory defaults but some information may still remain. To completely wipe the handheld, here are a couple tips. 1) Assign a password to the device and then input the password wrong 10 times ! * To assign a password to a BB device: Go to home screen and select “Options” (this is an icon that looks like a wrench). Select “Security” from the Options list. Go to the line item that says Password. Use the trackwheel to enable the password. When you save the settings, the device will ask you to enter a new password. Assign a alphanumeric password to the device. * Input the password wrong 10 times: Power cycle the device (power if off and then back on). The device will ask you for your password. Input a wrong password 10 times. The device will give you a few warning messages. After the 10th attempt, the device will erase all user data and do a power cycle. * Launch the Blackberry “desktop manager” software utility on your PC and make sure that it is connected to the BB device in the cradle. * Launch “Backup and Restore” utility from the desktop manager menu. * Click on the button that says “Advanced..”. * The application will read all the data from the device, organize them, and then display on the screen (on the right column). Select all the data (email, calendar, phone logs, browser bookmarks, etc.) that you want to erase. You can select multiple entries by holding on to the CTRL button while you select them. Click on the button labeled “Clear” to erase all the data from the device. Thank you, Gordon for your time and partnership. If you are interested in learning more about Innovative Solutions and their Innovative customer service, you can contact Gordon directly at gho (at) isconline (dot) com or call him directly at (913) – 208 – 1025. This month we honor Paycor as the Cells for Cells Hero for April 2008. Thank you to Dan Christians, Charles Tarantino, Derrick Bates in the Lenexa, Kansas offices of Paycor; and a very big thank you to Tracy Donohue at Paycor’s corporate offices in Cincinnati, Ohio. Wow! Talk about a company that embraces recycling! And now they expand their support of the Leukemia & Lymphoma Society by recycling their cell phones in the Cells for Cells | Recycle Because You Care program. Well, if you happen to be searching a green payroll services company, it looks like Paycor is your obvious green choice. First, lets talk about how green Paycor really is. Did you know that Paycor offers discounts to clients that are paperless? It is a program called Paperless Payroll. With Paperless Payroll, you can reduce clutter, get organized, and help the environment with strategies that reduce paper consumption. Additionally, Paycor greens it up at work by encouraging employees to bring reusable water bottles to work, use reusable shopping bags, and explore alternative transportation such as trying the bus or carpooling to work. How about letting employees visit green websites? They do that, too. The Daily Green . com is “the consumer’s guide to the green revolution.” There are many, many great tips there – you should check it out. Now let’s talk about The Leukemia & Lymphoma Society and Paycor’s passion for supporting them. Thank you to all Paycor employees that donated cell phones. You are all HEROES as you help us provide financial relief to families that are battling cancer.